Todd Zola, Author at TOUT WARS! 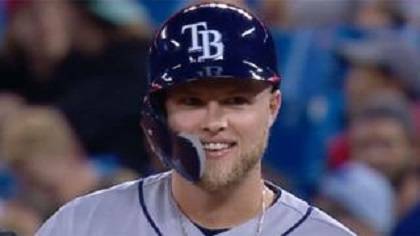 It was surprising that the Rays did not call up Meadows sooner, especially after he performed decently with the Pirates for a stretch earlier in the summer. He’s up now, and after a three-hit game Friday night, Meadows could get a few starts the last week of the season. Aside from being fodder for “stirs the drink” or “broke the back” puns, Myles Straw is up to do one thing – steal bases as a pinch runner. 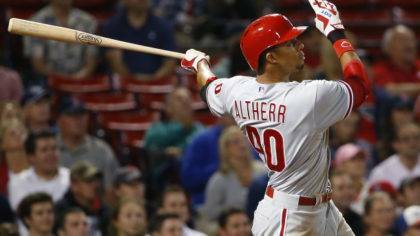 Much more was expected from Aaron Altherr, at minimum he was thought to be a solid contributor to the Phillies outfield, garnering a $9 bid in March from an unsuspecting owner (cough, cough). Well, he couldn’t even deliver in a platoon role and was sent to Triple-A. 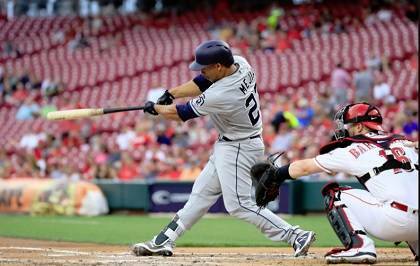 Altherr was recalled in September, seeing regular playing time with Nick Williams sidelined. He hasn’t played as much lately, but is still capable of a couple swipes the final week. Tristan Cockcroft is doing all he can to catch Steve Gardner, who currently holds five point lead. 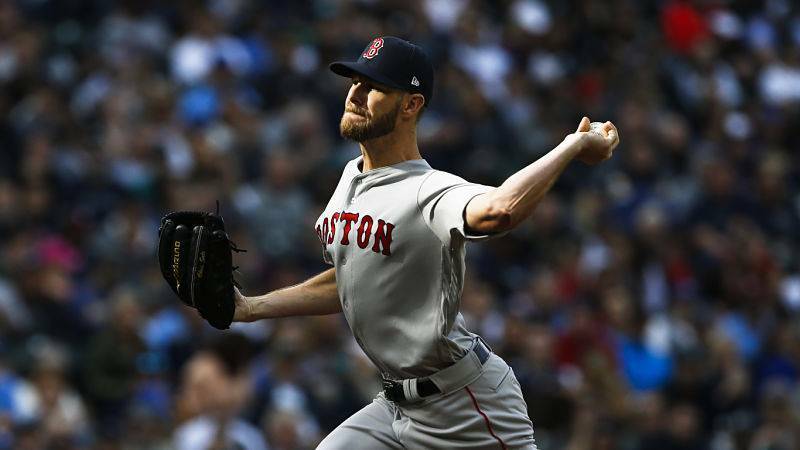 Both combatants made bids, with Tristan aiming to maintain his overall lead in strikeouts while using solid relievers to capture some ratio points still in play. While this can be construed as a backhanded dig at the other leagues, it isn’t. It’s just that nine of 15 participants still making bids despite leader Tim Heaney enjoying a over a 20-point lead is exemplary. Most of the acquired names are familiar with a few exceptions. Ray Flowers grabbed journeyman slugger Pete O’Brien, who despite showing pop on the farm, has get to latch onto an MLB roster as he continues to exhibit defensive deficiencies along with a proclivity for punching out. Jeff Zimmerman sees the Angels with an early week series against the Rangers, envisioning a save or two for Ty Buttrey, author of four ninth-inning conversions in five tries since being handed the closer gig in early September. Al Melchior noticed Aramis Garcia is spitting time behind the plate and at first base, essentially filling in for Buster Posey. Garcia has an OPS of 1.000 with three homers since his promotion. 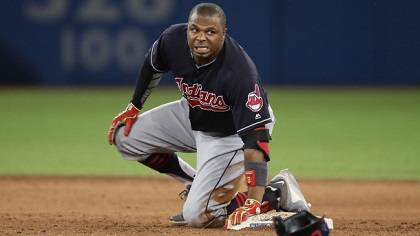 With Josh Donaldson back pushing Jose Ramirez to second, Greg Allen is losing playing time to Jason Kipnis. 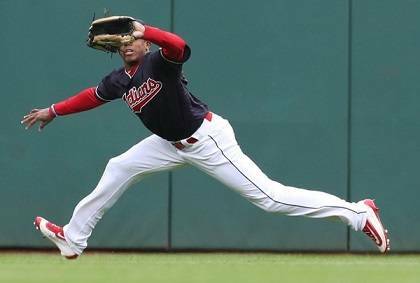 However, the Indians are likely to give everyone some rest this week as they’re locked into the three-seed, availing more action for Allen, even if it is coming into games in the mid innings. His asset, other than excellent defense is running, so if you need bags this week, consider Allen. As mentioned last week, Jake Ciely is your 2018 Head to Head champion. Peter and Andrea continue to grind, looking to finish as high as possible, perhaps conserving FAAB for next season as all the leagues are penalized for finishes below a threshold contextual to the respective leagues. Yes, we play DFS football too! While not an official Tout Wars sponsored entity, I’ll be writing about our Tout Daily Football contest since the majority of participants are Touts or friends of Touts, most in the industry. Unlike the baseball version where we segmented the scoring into five periods, we’ll recognize the top-three finishers each week as well as crowning the overall champion by virtue of most points over the 17- week regular NFL season. Robert Spiegelberg, aka Kingpin54321 (does anyone else find it odd there are 54320 other Kingpins?) is off to a great start, leading the way in each of the first two weeks. Finishing behind Kingpin54321 in Week 1 were Derek Carty and Reid Kashmanian while Jake Ciely and Jeff Erickson trailed the leader in Week 2. Overall, Spiegelberg of course leads with Carty in second followed by Sammy Reid. The overall standings can be found on the Leaderboard. 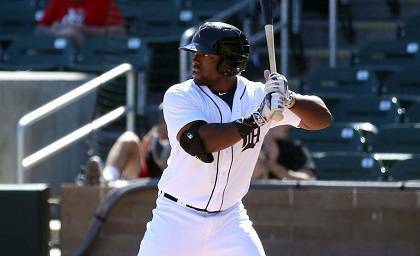 It took Detroit longer than most expected, but Christin Stewart was finally given the keys to left field for the rest of the season. His plate skills for Triple-A Toledo were fine, fanning at an acceptable 21 percent rate while walking a healthy 13 percent. He swatted 23 homers for the Mudhens. So, I’ve got one of the worst pitching staffs in the league, yet three of this week’s pick-ups were recently released off my sorry squad, including Lorenzen and Jeffress last week. I made the calculated decision I could gain more points in wins and whiffs than I’d lose in saves, while remaining in the cellar in ratios. I won’t see the wins and K’s points until the last week, if at all. Mike Gianella benefited from my ply, grabbing Jeffress. None of the points Mike stands to gain in saves (including leapfrogging me) will influence the three-horse race for the title between Steve Gardner, Grey Albright and Tristan Cockcroft, though Jeffress could also help Mike in ratios, possibly costing Grey and Tristan a point. Selfishly, my concern is trying to minimize my loss of FAAB. I’d feel bad if my strategy contributed to the championship for someone, but that’s OK. There have been numerous other FAAB releases affecting things, like some bozo dropping Kyle Freeland in April. Just not my year… again. I usually insert a photo of the player garnering the top bid atop the header, but in this case I opted to make an exception. 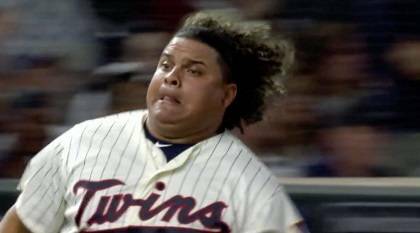 Try to tell me Willians Astudillo isn’t the love child of former Tout Eno Sarris and Bartolo Colon. You can’t. Admit it, you can’t. At the time of this writing, Adam Ronis is nine points behind Rudy Gamble. Adam is looking at gaining 5 points in R, RBI and SB, one of which passes Rudy for a net six. He’ll still need a few more, but here’s why you keep grinding. To his credit, Rudy has been making consistent moves all season, he just didn’t see anything to help this week. Good luck, gents. Clay Link needed to sweep his match with Jake Ciely being swept to have a chance to set up a chance to pass current leader Jake in the season’s final two-week period. Clay is doing his part. It appears Jake will take at least four of the six points, leaving him with an insurmountable eight game lead. Geez, what does a guy have to do to get noticed, carry a perfect game into the ninth? 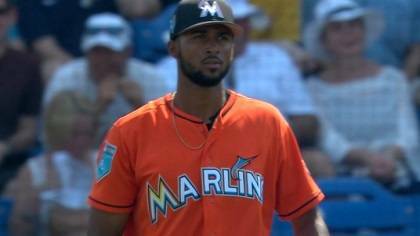 Jorge Lopez followed up a seven inning, one run outing versus the Orioles, fanning eight with no walks with his gem versus the Twins. 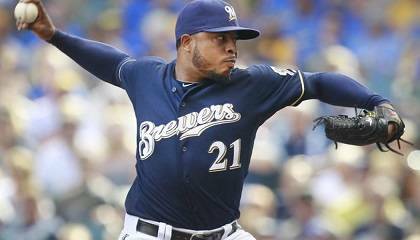 The former Brewers prospect spent much of the 2018 campaign working as a reliever. 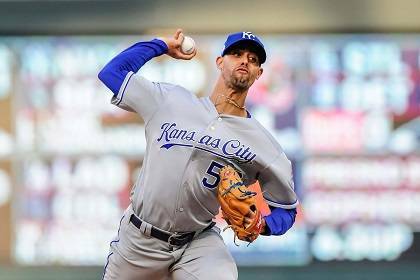 With 15 innings allowing just two runs this last two efforts, Lopez is making a strong case to be in the Royals rotation next season. 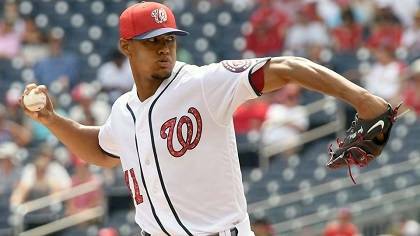 In a bit of a switch, hitters dominated the NL bidding with Francisco Mejia paving the way. The jury is still out with respect to his defense; his stick is MLB ready. Next up is Cardinals third-sacker Patrick Wisdom, called up to help an injury-riddled infield. As an example of how thin the hitting ranks are, Wisdom is just 6-for-31, albeit with half of his knocks leaving the yard. But, playing time is currency and he’s seeing regular run. Without the budget to compete with Mike Gianella, I settled for Jose Osuna, hoping he plays down the stretch. Not-so-ironically, he’s replacing the same guy he’s replacing in Pittsburgh, Gregory Polanco. Frequent helper Jeff Zimmerman was a busy man, reacquiring Jon Gray among several other moves. The two I want to focus on are Rowdy Tellez and Christin Stewart, both options to provide some late season pop. Tellez has replaced the slumping Justin Smoak at first base. After hitting safely in his first four games, Tellez was 0-for-4 om Sunday but still should receive a good look the next three weeks. 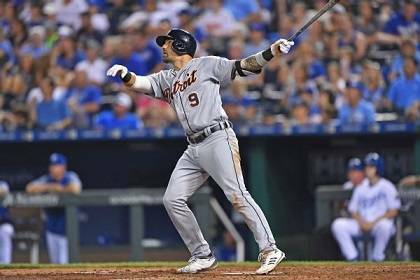 Stewart will be the Tigers everyday left fielder down the stretch, after hitting 23 homers for Triple-A Toledo this season. Kudos to Ray Flowers in the Mixed Auction and Rudy Gamble in the Mixed Draft for recognizing what Adam Frazier has done over the second half. How does .360/.413/.623 since the break grab you? There’s no better way to demonstrate context is everything than Kris Bryant drawing one bid while four pitchers drew multiple – and higher – bids. 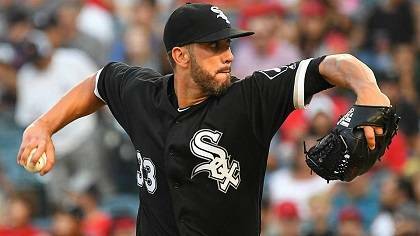 This format is all about unearthing pitching, hopefully with two starts. Sandy Alcantara leads the way, though he only has one outing on the docket. His strikeout potential is the major allure. 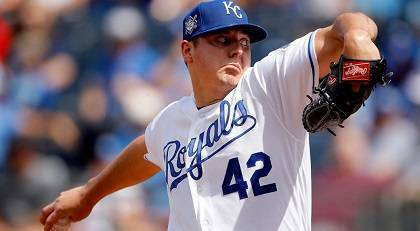 Brad Keller also has just one, but it’s against the White Sox and their generous strikeout potential. Framber Valdez is a sneaky pick-up since he lines up for two decent starts next week after facing the Tigers this week. Francisco Pena is also looking at a double-dip in a week, though it lines up as more difficult that what Valdez will encounter.